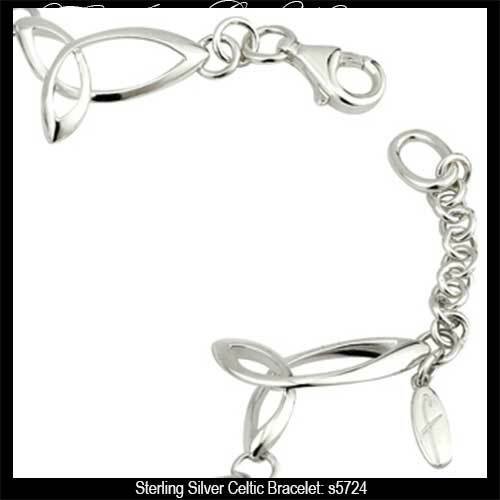 Special Price! While supply lasts. 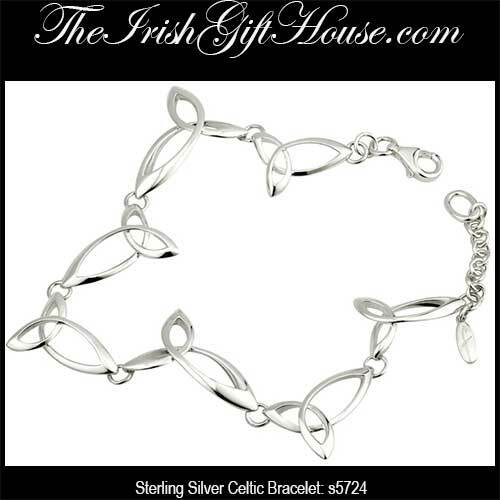 Celtic bracelet features sterling silver Trinity knot links. 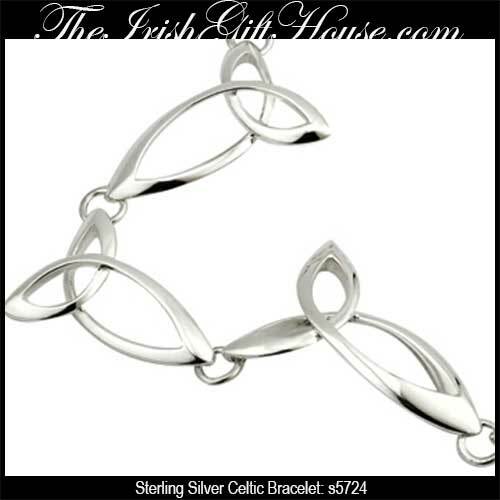 This sterling silver Celtic bracelet features seven stylized Trinity knot links and measures 5/8" wide x 7 1/2" long along with a lobster claw catch and an 1 1/2" extender chain with a tassel on the end.